When I get new scrapbook product, I always lay them out to admire then and to get the creative wheels turning. I did the same process when my box of Doodlebug goodies arrived. Each collection is cute, jam packed with cute images and lots of colorful goodies ---- all awesome! Anyhow, for this project, I used the Sugar & Spice collection. It is geared more for the baby girl in your life, but has lots of versatility to it, too. I love all of the sweet images, full of bright pastel hues and cute patterns. For this project, I wanted to focus on the grown-up gal. 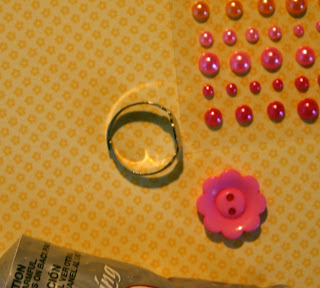 Let’s gather some supplies --- ring base, adhesive, buttons and pearls. The ring base, which can be picked up at a big box craft store or jewelry supply or your could recycle an unloved ring already in your jewelry box, needs to have a flat top. Now that you have your supplies gathered, be sure to set aside about 15 minutes to make this project. 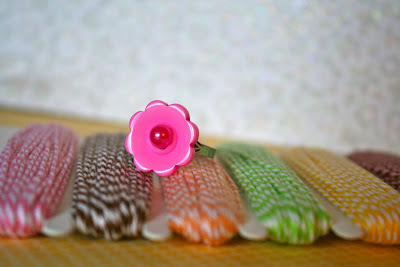 Yep, only FIFTEEN minutes and you’ll have a new, crafty cool ring to wear as you celebrate spring. First, pick your favorite button from the Sugar & Spice collection card. I chose a pink flower shaped button for this project. Then dot a little super-duty adhesive to the center of your button and add pearl center. 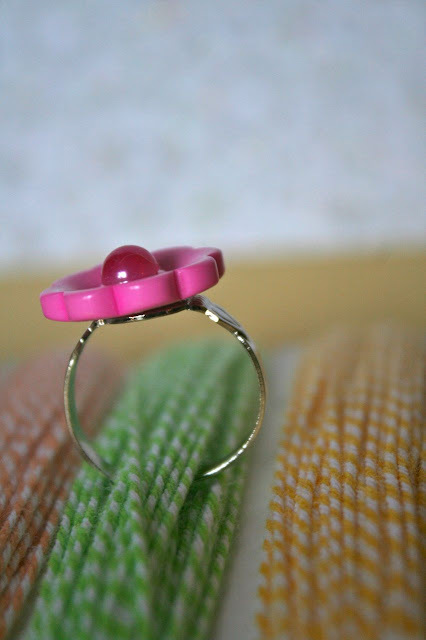 It is easier to assemble the button/pearl now than when button is already on ring base. Adhere button to ring base. Let dry. By the way, isn't that some sweeeeeeet doodle twine?! 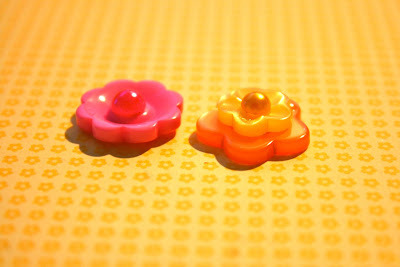 In the photo below, I also stacked a yellow and orange button and topped it with a pearl center. This would be cute on a ring as well as a card or layout. Be sure to stop by my blog as I have created two more 15-minute projects using Doodlebug’s sweet Sugar & Spice collection. where do you find the ring bases?